The Rose Inn ("us", "we" or "our") is committed to respecting your privacy and to complying with applicable data protection and privacy laws. If you do submit personal information by completing a web form, for example, you can be assured that we will use your personal information only to support your continuing relationship with The Rose Inn. Please note that The Rose Inn does not sell or pass your personal information to third parties (other than as set out in the paragraph above) unless you have given us permission or unless it is strictly necessary to deliver the services used by you. 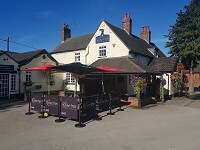 The Rose Inn may also be obliged to disclose your personal information to meet any legal or regulatory requirements (for example to comply with a court order) or obligations in accordance with applicable law. The Rose Inn recognises that its customers are increasingly concerned about how companies protect personal information from misuse and abuse and about privacy in general. The Rose Inn is constantly reviewing and enhancing its technical, physical and managerial procedures and rules to protect your personal data from unauthorised access, accidental loss and/or destruction. For example, our website is covered by HTTPS. Please be aware that communications over the Internet, such as emails, are not secure unless they have been encrypted. Your communications may route through a number of countries before being delivered - this is the nature of the Internet. The Rose Inn cannot accept responsibility for any unauthorised access or loss of personal information that is beyond our control. The Rose Inn ("Us", "We" or "Our") uses cookie technology ("Cookies") on this web site (the "Site") for the reasons set out below. In order to further ensure your online experience with The Rose Inn is as enjoyable as possible, We work to ensure that We only present you with information and content that your hardware can handle. We do this by checking to see what software, plug-ins and connection settings you have.